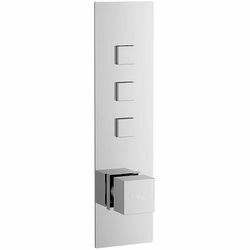 hudson Reed Ignite > Push Button Shower Valve With Square Handle (3 Outlets). Hudson Reed Ignite push button concealed shower valve in chrome with square handle and 3 outlets. Outlets can be operated in isolation, or enjoy all three simultaneously. 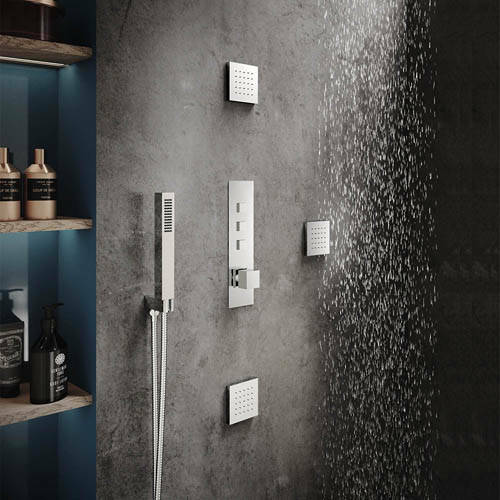 Three shower outlets (3 way). Flow rate at 3 bar l/m (showers): 28 litres. Size: 305H x 80W x 135D mm.